The Carter Family, among the original Americana performers, were the first to become well-known outside of their region. Though they were unassuming and humble people, they had an enormous impact on music both within, and outside of America and brought American Country and Roots music to the forefront. Helen Carter continued their efforts with nearly 60 years as a musician, entertainer and songwriter. Her life and the lives of the Carter Family are a testimony of their love for each other, their regard for American Traditional music and their unfaltering efforts for the survival of both. Helen Carter was the eldest of three daughters born to Maybelle Addington Carter and Ezra Carter, a railroad worker. She was born in 1927, in Maces Springs, Virginia, the year that the original Carter Trio began their career in earnest. Comprised of her mother, Maybelle, along with her cousin, Sara Dougherty Carter and Sara’s husband, A.P. Carter (Ezra’s brother), the trio began performing around the Clinch Mountain area during the early years of The Great Depression. For 17 years, the three were intensely involved in recording and performing the music of rural Appalachia. In addition, Maybelle gave birth to two more daughters during that time, June (b. 1929) and Anita (b. 1933). The Carter Family (clockwise), A.P. Carter, (Sara and A.P.’s daughter) Janette Carter, Ezra Carter, Sara Dougherty Carter, Maybelle Addington Carter, (Ezra and Maybelle’s children) June, Anita and Helen Carter. Carter Family historians can pinpoint to Helen Carter’s radio debut as young as 10 years old, but, she formally began her career at the age of 12, when she sang backup harmony along with her sisters. She performed twice each week, and was paid $15 per week, for four years. The trio and children were known as The Carter Family Band when they were featured on XERA, the most powerful radio station in North America, ten times more powerful than any radio station in the country, in the late 1930’s. 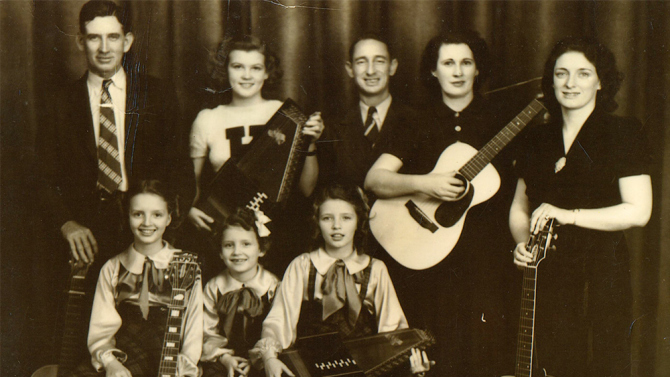 Because the radio program was heard by all of North America and beyond, the Carter Family Band performances were the first time that Country music was heard beyond the borders of America. By 1941, times had changed. World War II was underway and the country was finally starting to recover from the Great Depression. The Carter Family moved to Richmond,Virginia in 1943. Sara and A. P. Carter had divorced in 1936, and Sara had already remarried a cousin of A.P. and Ezra Carter. The couple decided to move on to California, and A.P. Carter retired to run a general store in Virginia, signaling the end of the original Carter Trio. But the show did indeed go on, only this time, as Mother Maybelle and The Carter Sisters. 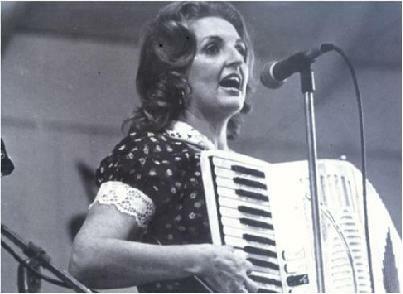 Anita Carter was usually the lead singer, with Mother Maybelle, Helen and June backing up the vocals, on guitar, accordion, and auto harp, respectively. The quartet was a successful act heard on “The Old Dominion Barn Dance”, a radio program based in Richmond, Virginia, later moving to Knoxville, Tennessee, as “The Tennessee Barn Dance”. From 1946 through 1948, the quartet could be heard performing compositions such as “Wildwood Flower” and “Will the Circle be Unbroken”, which was the Carter Family signature song, even then. Along with Mother Maybelle and the Carter Sisters, performed a very thin Chet Atkins, the legendary guitarist. He nearly starved with a duo called Homer and Jethro and was very thankful to have been hired for the show. 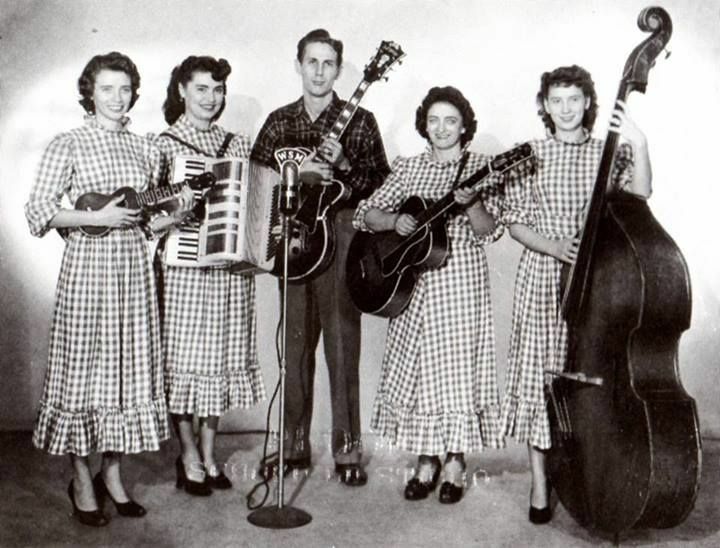 In 1949, the quartet recorded and released their first record, and in 1950, Mother Maybelle and the Carter Sisters were inducted into The Grand Ole’ Opry. The girls were among the youngest inductees, with Helen at age 22, June at 20 and Anita, age 17. That same year, Helen married Glenn Jones, a pilot, and through the 1950’s they had four children. During that decade, the Carter Sisters were very busy. They were the first nationally televised Country music act presented by a brand new medium, television, appearing on the “Kate Smith Show“. They were also the first Country music act to tour a Communist country, Czechoslovakia. 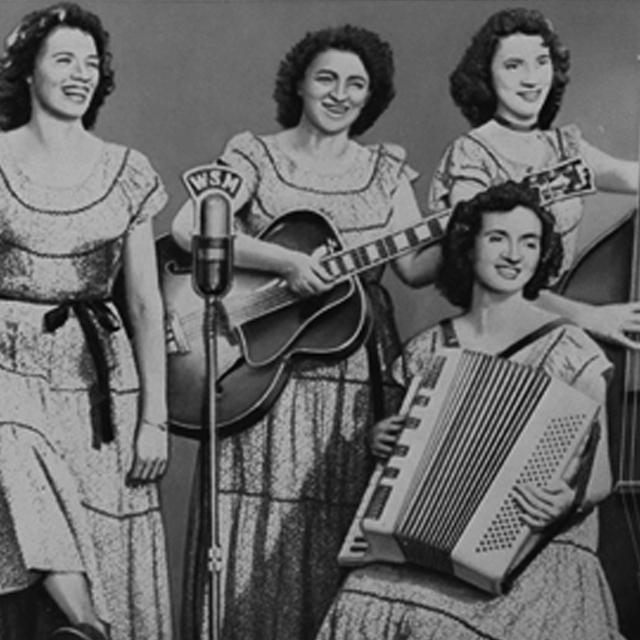 Mother Maybelle and the Carter Sisters also performed as the opening act for Elvis Presley’s tour from 1956 through 1957. 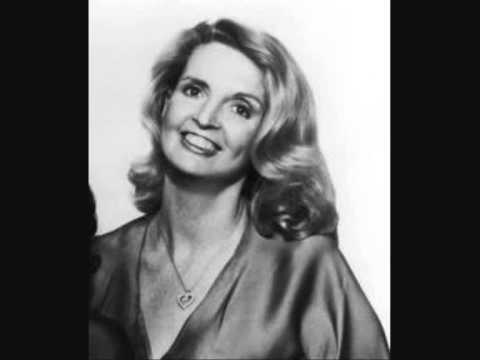 During those same years, Helen was contributing as a songwriter with ”Poor Old Heartsick Me,” becoming a hit song for the singer Margie Bowes in 1959. Another of Helen’s songs was a top-twenty hit for Ann-Margret, “What Am I Supposed to Do?”, released in 1962. Helen also collaborated with Dolores Dinning of the Dinning Sisters and they recorded songs for MGM, as well. Throughout the 1960’s and 1970’s, Mother Maybelle and The Carter Sisters saw much success and received many accolades. In 1960, they began a long collaboration with Johnny Cash, recording with him as back up singers and musicians, as well as performing with him in concerts. 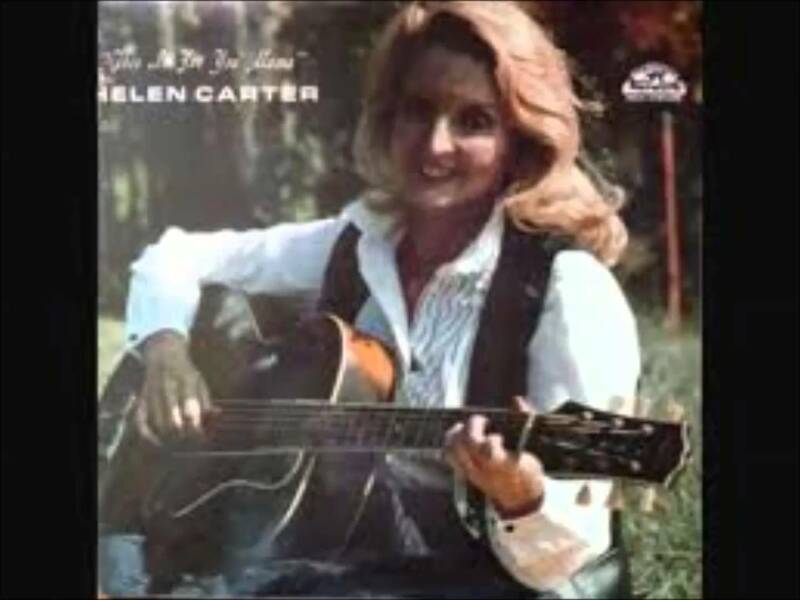 Helen Carter, her mother and sisters enjoyed considerable notoriety with their most successful albums, ‘Sunny Side’ (1964),’Travelin’ Minstrel Band’ (1972) and ‘Three Generations’ (1974). In 1970 they were inducted into the Country Music Hall of Fame as the “First Family of Country Music”.The Carter Family Band received the “Favorite Country Group” award by the American Music Awards in 1973. The quartet made regular appearances on “The Johnny Cash Show“ in the 1970’s with June, who had since married Johnny Cash. Along with her mother, Helen Carter was recorded by the Smithsonian Institution in 1975. For the next three decades, the Carter Family was honored for their work as gospel musicians (Music City News Awards, 1980). They were also inducted into the Grammy Hall of Fame in 1988, recognized as Bluegrass musicians (Bluegrass Hall of Fame 2001) and rewarded for their lifetime body of work (Grammy Lifetime Achievement Award 2005). Helen Carter, throughout her long career, is credited as being the best musician and songwriter among the Carter Sisters. It was Helen who assumed the responsibility of arranging the group’s vocals. An unusual technique that Helen Carter worked into the vocal arrangements was the slick, seamless transfer of the lead vocal from one singer to the next. It was so subtle that the listener may not have been aware that a change of vocalist had occurred. It was also common for songs to have multiple key changes, which added complexity to the arrangements. In addition to being an excellent musician, songwriter and performer, Helen Carter Jones was the mother of four sons, a wife of forty-eight years and by all accounts, a very capable, strong, and caring person. In the early years, when her Mother, Maybelle, was at a gig or on tour, Helen would care for her younger sisters, cooking, cleaning and providing for their needs, even though she was still young. Helen was the backbone, and the memory of the Carter Family. Her late sister, Anita, recalled, “Helen was like a book. She remembered everything….all the songs and all the keys”. Helen Carter cared about her family’s musical tradition and was dedicated to preserving it by recording a solo album in honor of her mother, with her son, David Jones. Rosanne Cash, the daughter of Johnny Cash and step-daughter of June Carter Cash, credits Helen Carter for the time that she took teaching her the guitar, and for being a major influence as a musician and songwriter. Tragedy did not spare the Carter Family. In 1968, Helen Carter Jones’ son, Kenneth Jones, died in an auto accident when he was 16 years old. Ten years later, Maybelle Carter died at the age of 69 due to poor health. Helen ceased to tour in 1995 due to health reasons, and in 1998, she passed away at the age of 71. Her sister, Anita, followed her, passing away in 1999 at the age of 69. Both June Carter Cash and Johnny Cash passed away within four months of each other, June, age 73, in May, and Johnny, age 71, in September, 2003. The late Chet Atkins said of Helen Carter, “She was the best musician in the bunch, I guess. She played accordion and piano and guitar just like Maybelle. She added a lot to the group. The only bad part of it was that I had to carry her accordion,” Chet said, laughing. “They’d say, ‘Helen, don’t you carry that old accordion—you’re down in your back. You can’t carry that. Chester, get that accordion!’” Although Helen Carter always primarily performed as an accordionist, she was seen less and less with the accordion and more often with the guitar throughout the latter 1950’s and 1960’s. By 1969, when Helen Carter was 42 years old, ‘The Carter Personnel’ lists Helen Carter as performing as a vocalist and makes no mention of the accordion.